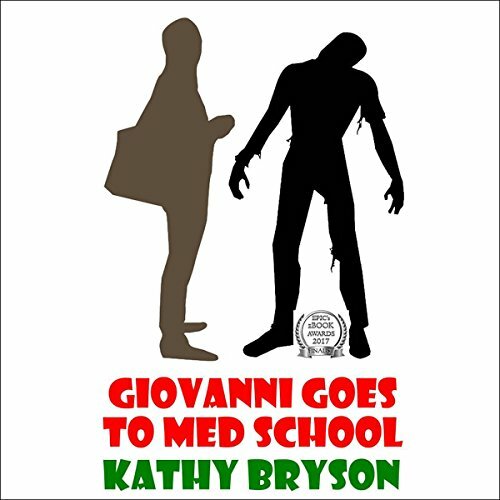 Showing results by author "Kathy Bryson"
You don't have to be a medical student to know the dead don't walk. Anyone who's buried a pet in the backyard knows they don't even lurch. The night shift in the morgue was supposed to be a chance to study in peace. So Giovanni is stunned when his patient sits up and starts scolding. Now he's got to convince an unbelieving medical community to take action, so he can get back to learning about the dead - not the undead! The night shift in the morgue was supposed to be a chance to study in peace. So Giovanni is stunned when his patient sits up and starts scolding. Now he’s got to convince an unbelieving medical community to take action, so he can get back to learning about the dead - not the undead!